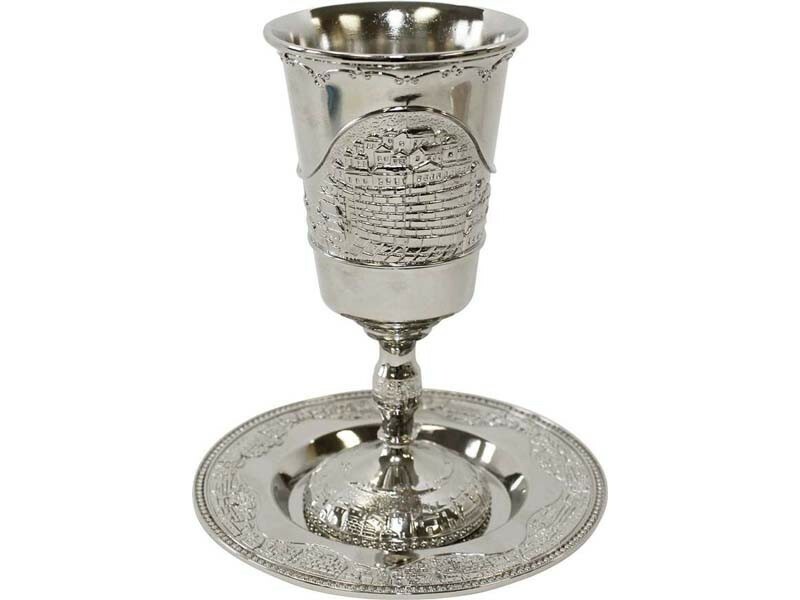 This magnificent Kiddush cup will enhance your Kiddush ceremony and Shabbat table. A nickel plated goblet decorated with the hills of Jerusalem on its leg and cup has a regal look. It comes complete with a coordinating round saucer. This kiddush cup and plate will surely enhance your Kiddush ceremony.